Tumbled patent leather Reva ballet flat ($199) – Regular price $235. I’m not sure how much of a sale this is as I don’t follow availability & sales on TB Revas. I would take any of these three colors. 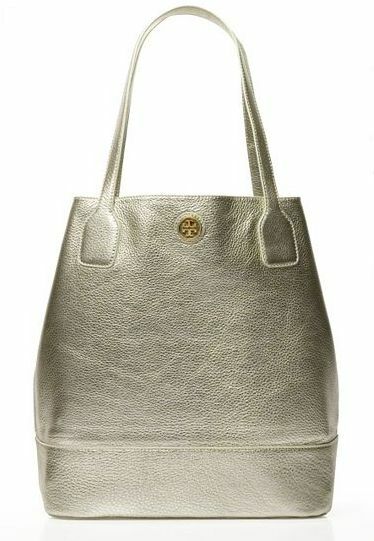 Metallic Michelle tote ($197.50) – Regular price $395. Would seriously, seriously consider if I didn’t already have a metallic leather bag. 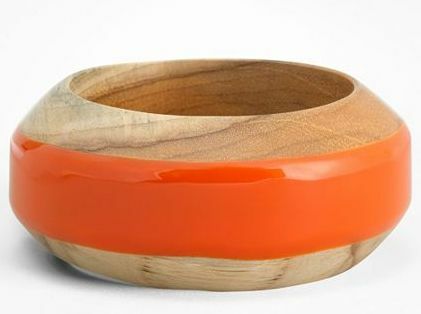 Resin band bangle ($58) – Was $145. I pay a lot less for my jewelry, but I like this. 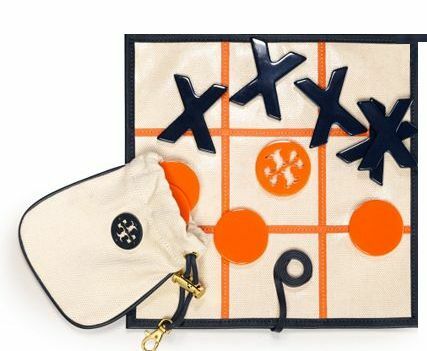 Printed tic tac toe set ($50) – Was $125. How cute is this. I am restraining myself from purchasing. I know I wouldn’t use it. Great gift idea. I just want to tell you that I am just newbie to blogging and really savored your web blog. Very likely I’m planning to bookmark your blog post . You definitely come with great articles. With thanks for revealing your website. I simply want to say I’m beginner to weblog and honestly savored you’re web site. Almost certainly I’m going to bookmark your blog . You definitely have great articles. Kudos for sharing with us your blog site. I simply want to say I am just newbie to blogging and site-building and absolutely enjoyed this web-site. Probably I’m going to bookmark your website . You actually come with exceptional well written articles. Appreciate it for sharing your webpage. I simply want to tell you that I’m beginner to blogging and site-building and really liked this web site. Almost certainly I’m going to bookmark your site . You actually have fantastic stories. Thank you for sharing your blog site. I simply want to tell you that I’m new to weblog and honestly liked this page. More than likely I’m going to bookmark your website . You definitely have very good posts. With thanks for revealing your website. I simply want to say I am newbie to blogging and site-building and absolutely enjoyed this web site. Probably I’m likely to bookmark your blog post . You absolutely have fabulous article content. With thanks for sharing your website. I just want to mention I’m very new to blogs and actually liked this web-site. Very likely I’m want to bookmark your blog . You amazingly come with wonderful article content. Thank you for sharing with us your website page. Great awesome things here. I am very glad to peer your article. Thank you so much and i’m having a look ahead to contact you. Will you kindly drop me a mail? I simply want to say I’m beginner to blogs and actually loved you’re blog. Likely I’m want to bookmark your website . You actually come with outstanding writings. Many thanks for sharing your webpage. I just want to tell you that I’m new to blogging and seriously loved you’re page. Likely I’m want to bookmark your site . You actually come with terrific stories. Thanks a lot for sharing with us your blog. Useful info. Lucky me I found your web site by chance, and I am surprised why this coincidence didn’t happened earlier! I bookmarked it. I just want to tell you that I’m very new to blogging and honestly liked this blog. More than likely I’m likely to bookmark your website . You really have good writings. Regards for revealing your blog site. I just want to mention I’m very new to blogging and seriously liked your page. More than likely I’m planning to bookmark your website . You absolutely have amazing articles and reviews. Many thanks for revealing your web-site. Thank you, I have recently been looking for info about this topic for ages and yours is the best I have came upon so far. But, what concerning the bottom line? Are you sure about the supply? Hello kalysdi.This article was really interesting, especially since I was searching for thoughts on this topic last Sunday. Hi there, I discovered your web site by the use of Google at the same time as looking for a related subject, your website came up, it appears to be like great. I have bookmarked it in my google bookmarks. hey there and thank you for your info – I have certainly picked up anything new from right here. I did however expertise a few technical points using this web site, since I experienced to reload the site lots of times previous to I could get it to load correctly. I had been wondering if your hosting is OK? Not that I am complaining, but sluggish loading instances times will often affect your placement in google and could damage your high quality score if advertising and marketing with Adwords. Anyway I am adding this RSS to my email and can look out for much more of your respective intriguing content. Make sure you update this again soon..
I¡¦ve read a few good stuff here. Definitely price bookmarking for revisiting. I wonder how a lot effort you put to make this sort of excellent informative website. you’re in point of fact a just right webmaster. The website loading speed is amazing. It sort of feels that you’re doing any unique trick. Furthermore, The contents are masterwork. you have performed a magnificent activity on this topic! hello there and thank you for your information – I have certainly picked up something new from right here. I did however expertise several technical issues using this website, as I experienced to reload the web site many times previous to I could get it to load correctly. I had been wondering if your web hosting is OK? Not that I am complaining, but slow loading instances times will very frequently affect your placement in google and can damage your quality score if ads and marketing with Adwords. Anyway I am adding this RSS to my email and could look out for a lot more of your respective exciting content. Ensure that you update this again soon..
Hi there, I found your website by the use of Google whilst looking for a comparable matter, your web site got here up, it appears good. I’ve bookmarked it in my google bookmarks. I was reading through some of your posts on this website and I conceive this site is very instructive! Keep putting up. Hi, I do think this is an excellent blog. I stumbledupon it 😉 I am going to revisit yet again since I book marked it. Money and freedom is the greatest way to change, may you be rich and continue to guide others. There’s definately a lot to learn about this subject. I really like all the points you’ve made. Somebody essentially assist to make seriously articles I might state. This is the first time I frequented your web page and up to now? I amazed with the analysis you made to create this actual submit amazing. Great task! Oh my goodness! Impressive article dude! Thanks, However I am going through troubles with your RSS. I don’t understand why I am unable to subscribe to it. Is there anybody getting the same RSS issues? Anybody who knows the answer will you kindly respond? Thanks!! I¡¦m not positive where you are getting your information, however great topic. I must spend some time finding out more or figuring out more. Thank you for excellent information I used to be looking for this info for my mission. whoah this weblog is great i really like studying your posts. Stay up the good paintings! You realize, lots of people are hunting around for this information, you can help them greatly. fantastic post, very informative. I’m wondering why the other experts of this sector do not realize this. You must continue your writing. I’m confident, you have a huge readers’ base already! Good post. I learn something totally new and challenging on blogs I stumbleupon every day. It will always be helpful to read content from other authors and use a little something from their sites. excellent publish, very informative. I wonder why the other experts of this sector don’t notice this. You must proceed your writing. I am confident, you have a great readers’ base already! Next time I read a blog, I hope that it does not fail me just as much as this particular one. After all, Yes, it was my choice to read, but I actually thought you would have something useful to talk about. All I hear is a bunch of moaning about something that you could fix if you were not too busy seeking attention. I’ve read several just right stuff here. Certainly worth bookmarking for revisiting. I surprise how a lot effort you put to make this sort of excellent informative web site. You ought to be a part of a contest for one of the finest blogs on the net. I will recommend this web site!